Jewish spiritual teachers and modern scientists have very different, though not necessarily contradictory, views on the ancestors of the Jewish people. If you have Jewish ancestry, it can be helpful to understand both perspectives of this issue. According to Judaism 101, religious texts like the Torah and Talmud indicate that the ancestors of the Jewish people were three men: Abraham, Isaac, and Jacob. Traditional teachings say that Abraham formed an agreement with God, called a "b'rit." As part of this contract, Abraham had to pass a series of 10 tests to prove his faith. Abraham lived a long life devoted to passing these tests. However, he and his wife, Sarah, were unable to have children. The teachings say that God gave them a child when Abraham was 100 years old and Sarah was 90 years old. This child, named Isaac, and his son, named Jacob, are the traditional ancestors of the Jews. Jacob, who also went by the name of Israel, is said to have had 12 sons and one daughter. The tribes of Israel are named after Jacob's sons. Tradition indicates that modern-day Jewish communities were formed when families split off from this main group, either by invitation of local rulers or because the families were fleeing from persecutors. Modern DNA testing has also provided some insights about the ancestry of the Jews. Two main types of DNA testing offer a glimpse at the origins of this group of people. Y-DNA testing examines the Y chromosome, which a father passes on to his son. This chromosome is relatively unchanged by mutations, so it provides a glimpse at the father's genetic line. Similarly, a mother passes mitochondrial DNA directly to her daughter, and this type of DNA also remains relatively unchanged over centuries. According to the The New York Times, genetic studies have provided clues about Jewish lineage. One study focused on the Y-DNA of Jewish men and was able to trace their ancestry back to Israel. These Jewish men, who came from all over the world, were related to one another and to modern-day Jews living in the Middle East. However, another study of mitochondrial DNA indicated that the mothers of the Jewish people were likely from all over the world. The study may show that the male ancestors of the Jewish people migrated to new areas, where they married and fathered children with local women. Both studies showed that once the Jewish people were established in a region, there was very little outside genetic input. Both traditional Jewish teachings and modern genetic testing indicate that the male ancestors of the Jewish people came from Israel. However, there is some debate about the female ancestors of the Jews. Tradition and science disagree about whether the Jewish mothers came from Israel with their husbands or from local populations. If you are of Jewish ancestry, you can perform genealogy searches online or access public records to trace your family's history. 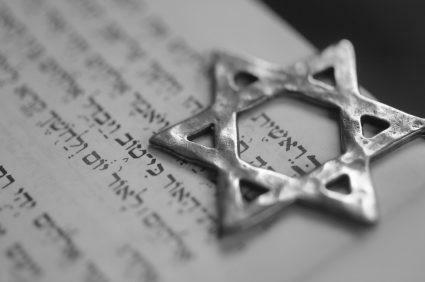 Although these sources won't help you discover the origins of the Jewish people, they will help you uncover some of the mysteries about your own family's past.